PetVivo Inc. is an emerging biomedical device company focused on the licensing and commercialization of innovative medical devices for pets, or pet therapeutics. PetVivo believes that it can leverage the investments in the human biomaterials and medical device industries to commercialize therapeutics to pets in a capital and time efficient way. 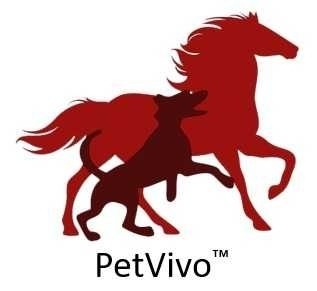 PetVivo's strategy is to in-license proprietary products from human medical device companies specifically for use in pets. Our Kush™ System will augment synovial membrane function, without pharmacologic, chemical, or metabolic action. Our patented device particles act like micro-sized sponges, (75-100 microns in diameter) to fill up the joints synovium and lubricate the articulating surfaces, thereby making them slippery, (lubricious). The fluid's inherent physical characteristics combine with the particles durable structure to provide a soft springy cushion when force is applied to them, mimicking and augmenting the effects of a healthy synovium and healthy natural cartilage.